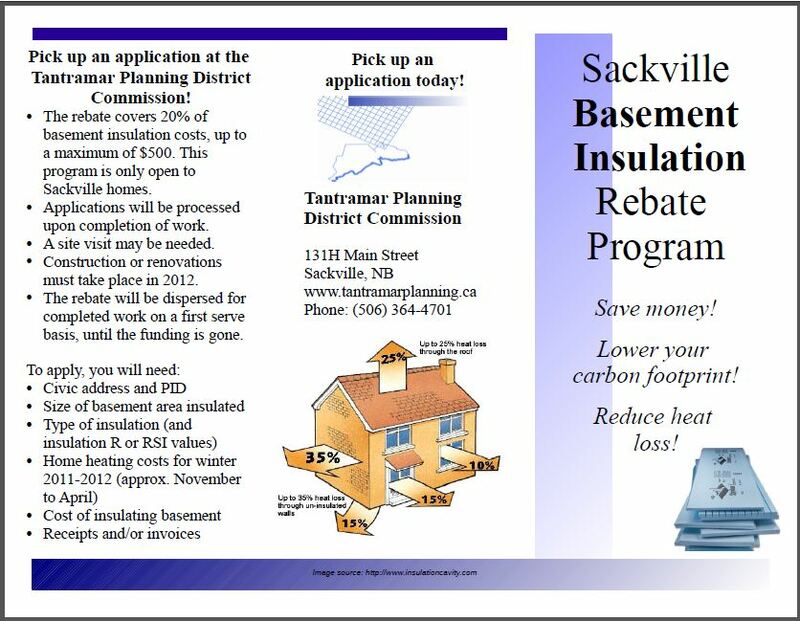 The Tantramar Planning District Commission, funded by the Mount Allison Green Investment Fund and aided by RCE Tantramar, is offering a rebate program for Sackville homes that add insulation to their existing basements or build a new insulated basement in 2012. 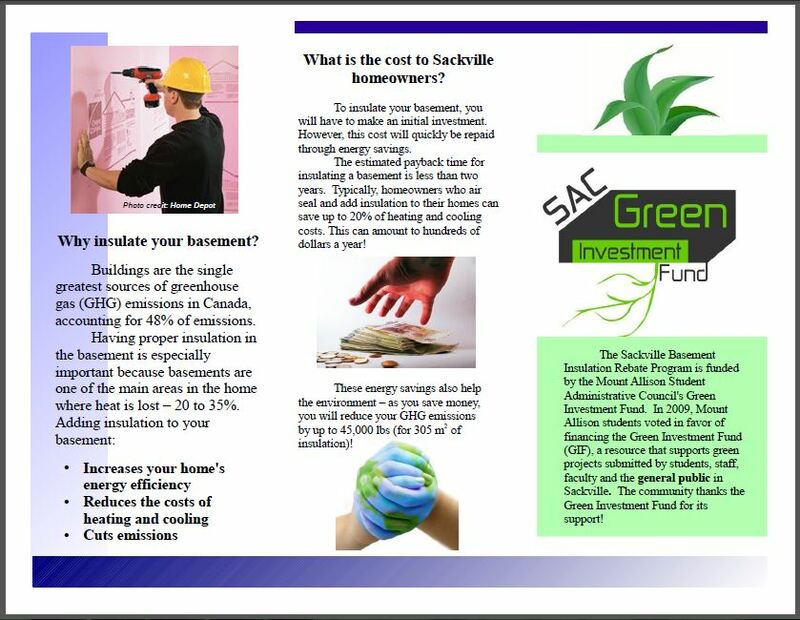 This program covers 20% of basement insulation costs, up to a maximum of $500. There is limited funding so apply soon!